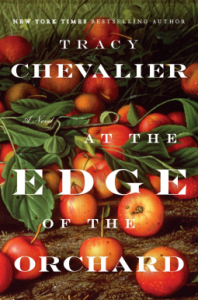 Tracy Chevalier is one of my favourite authors and she has a way of making history come alive in her novels which have subjects as diverse as Vermeer and fossils. In The Last Runaway she switches her focus to America, in particular 1850s Ohio where the young English Quaker, Honor Bright starts a new life very different to her quiet upbringing in Dorset, England. It is a time of great upheaval in America as the country inches towards civil war with a variety of runaways, both black slaves and white settlers, trying to forge a better life for themselves. Honor finds life hard as a single woman unaccustomed to the American way but she is aided by the flamboyant Belle Mills, a milliner, who takes Honor under her wing. Belle’s brother, Donovan, sets his sights on Honor but his reputation as a dissolute slave hunter makes him an unlikely suitor. Reminiscent of Gone with the Wind, this is a novel with strong female characters who use their wits to survive difficult times. Those travelling the Underground Railway are not the only runaways in this well-researched and eloquently written novel.